Rob’s recent comment pointing out the Ben Vonderheide case in Lancaster County, Pennsylvania made me curious. After all, it’s not often that you see the government actually prosecute somebody for making malicious false reports to the police to terrorize a father and block access to a child. On the surface, it looks like the government got it right in this case. Dig deeper, however, and you find that Ben Vonderheide is a poster case for government-backed terrorism against a parent who has been repeatedly abused by the government. The government is now using his son, Quinta Xavier Vonderheide, as a pawn in its vindictive battle to hide its crimes against the state’s children and families and attack those who attempt to expose them. Quinta’s mother is Vonderheide’s ex-girlfriend Wendy Flanders. She has systematically alienated her son from his father and engaged in access blocking, denigration, defamation, and false police reports to destroy the child’s relationship with his father. She is unable to accept that their son should have time with both his parents and is willing to break the law, scheme, manipulate, and conspire to ensure that he will never see his father again. As is typical, family law courts reward such behaviors unless a parent can afford to bring contempt of court charges against the abuser. She even attempted to change his name to Quinta Xavier Flanders, a common stunt for alienating parents who alter their children’s names to remove all mention of the hated ex. This is nothing new for Flanders as she is a serial parental alienator. She has engaged in this child abuse not only involving Quinta, but also regarding her daughter Bryna Elizabeth Flanders-Harris and that girl’s father John Harris. In that case, she used false allegations of child sexual abuse among other methods. There are also reports that she attempted similar family terrorism against another previous ex, a Mr. Caruso who is no longer alive to defend himself and his child Emily from the sociopathic Flanders. Cindy Dumas is the San Diego mother who has been flooding the media for years with claims of child sexual abuse against her son Damon Moelter. On July 15, 2010, Judge Lorna Alksne gave full custody of Damon Moelter to his father, the person Dumas continues to insist sexually abused him, with minimal contact with his mother. You might think the title of this article implies we’ll be joining in the woe-is-me chanting of her supporters. Perhaps refreshingly, we won’t waste your time with that — you’ve read enough of it already if you have followed this case. Instead, I’m going to explain to you why Damon Moelter and his entire family are victims of the corrupt San Diego courts and that Damon in particular is experiencing court-ordered parental alienation child abuse. The primary driver of the corrupt and abusive decisions in this case is a biased and incompetent Judge Lorna Alksne. The type of corruption and bias that are occurring in her court are little different from that in many other family law courts. As a result, many children are being seriously harmed. Damon Moelter is just one of these many. Perhaps ironically, this child abuse that is truly occurring is the parental alienation emotional abuse that Damon’s mother staunchly denies exists. But the chief motives and methods involved in the abuse occurring now are not the usual malicious mischief of a parent who can’t separate her or his own needs from those of the children. Instead, they involve the collusion of Judge Lorna Alksne and her friends pursuing their own purposes by violating the law and harming a child and a family. 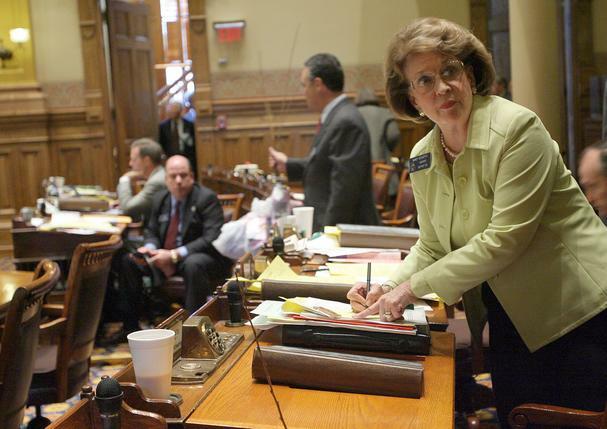 The Georgia Bureau of Investigation is reporting that former Georgia Senator Nancy Schaefer and her husband Bruce Schaefer were found dead in their home from gunshot wounds on Friday, March 26, 2010. They are reporting it is being investigated as a murder-suicide due to claims Bruce Schaefer was distraught over suffering from cancer. Yet their family denies he was ill. There are many skeptics who discount that theory and instead believe that it is more likely Schaefer was murdered for political or criminal reasons and her husband was framed for the crime and also murdered to prevent him from defending himself and potentially revealing evidence that could implicate the real perpetrators. 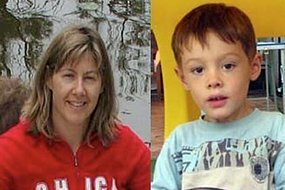 In February 2010, the United States federal government cranked up the pressure on Japan to start cooperating with resolving international parental child abduction cases involving Japanese parents taking kids back to Japan and preventing them from seeing their non-Japanese parents. Assistant Secretary of State Kurt Campbell issued a warning to Japan to revise its family law system to permit non-Japanese parents to have contact with their children. As I previously reported in DCF Poaching on the Tiger Woods, Elin Nordegren Kids?, Florida’s Department of Children and Families visited the home of Tiger Woods and Elin Nordegren to investigate a child abuse complaint. Now State Senator Ronda Storms of Florida is calling for an investigation of the complaint that led to this visit. She believes that the complaint was filed falsely and maliciously and if evidence exists to prove this, she wants the Orange County State Attorney to prosecute those responsible for the complaint. She’s concerned that false child abuse reports waste state funds needlessly and take away resources from children who really do need help.